14 registered (Bocomo, Zep, Dave_IA, Brad Holister, bassmaster61, Jjksswan98, Shorty, BrianL, Clay N' Pray, Bing, ShaneM, Bob-O, teehjaeh57, RStringer), 199 Guests and 183 Spiders online. I agree with Eric! We expect you to be at the next pbc not in the hospital! Didn't you guys see the little wings on those tennies that Brettski has on? One "whoops" and they turn on, lifting him back up to the scaffold. The weather man tried to scare us off again this weekend. No dice. Yeah, Friday evening did get nasty, but the balance of the weekend held together pretty well, albeit smokin' low 90's. I keep promising Dski we are gonna string together a 3 or 4 day weekend and get some production rollin', but the lousy thunderstorms keep marching thru the midwest every week....every 3 or 4 days. Anyway, we perservered the heat and humidity, got in a decent 2 days, and got a little more scaffold-type work done. One side has most of the fascia work done, along with vented soffits and the frieze board beneath. I'm very relieved to get the wood covered at the fascia. It has been exposed for quite a number of months. 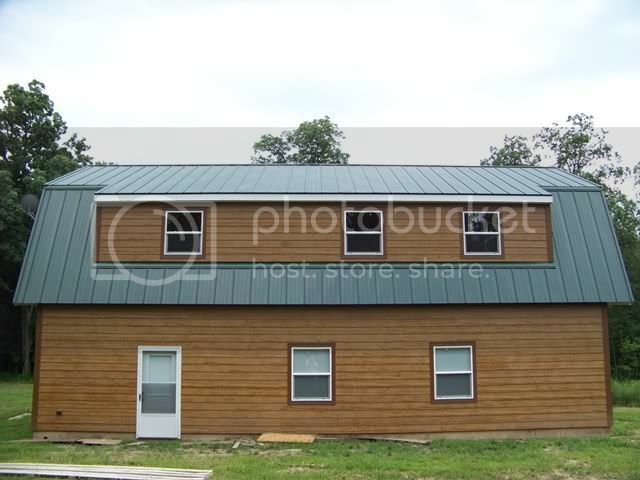 The real bugger is gonna be the 4 tiny triangular areas at the ends of the shed dormers. The smallest amount of real estate and the most "nip and tuck". 4-5 more weekends tops and you'll have the outside done. Great work. Is the inside (light and air) livable yet ? Nothing inside except a couple of electic circuits to provide power to strategic areas within the structure. We are in a race to get the outside sealed up and weather-tight. After that, we can shift into another gear and get serious with the interior. 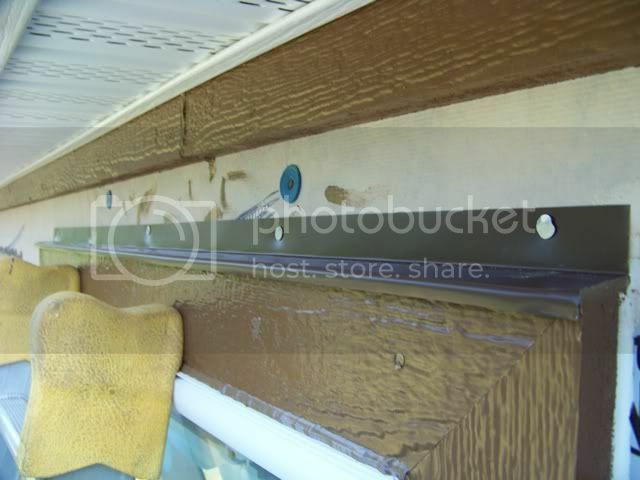 We have been messing with the siding, trim, and soffits for a bit over 2 months. Based on the pace and difficulty of having to use ladders and/or a scaffold, I expect another 1-1/2 months to have the exterior corked up. Every move we make is calculated based on need. In our case, need directly correlates to protection from the elements. 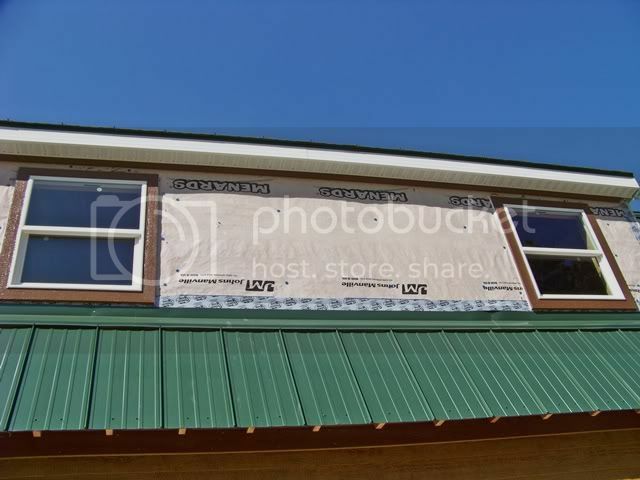 The house wrap has done an outstanding job of protecting from the wind and precipitation, but the UV rays of the sun are showing some of the damaging effects. I am not concerned that we have gone beyond the point of no return on degradation....yet. But, as noted, each item of wrapping up the exterior is weighed against all the others for priority. This weekend was mostly dedicated to protecting the undersides of the gable ends. The lower gable sections are getting wet from the driven rain, and man...have we had the driven rain this spring. I have dreaded this project cuz it involves ladders and scaffolds at the highest of heights; a pain to set up and take down, and a strain on my sense of balance and focus. Completing boxing in these eaves, tho, includes setting the frieze boards that will frame the final push to install the lap siding. It sets the next stage. Since we had the ladders and scaffold at this end, we framed the window at the 2nd story, too. Now, it's all siding to go at this end. We got the same accomplished at the other end, but no framing around the windows. That will be a project for the very near future. We did manage, tho, to complete the fascia and soffit venting along the shed dormer. We left the very bottoms of the gable soffits unfinished since that project is low priority for protection. We are now weighing out the next battle for the weekend over the 4th. How long do you think it will take to finish the one window end ? Safety first -- yes !!! Be sure to take time to enjoy the day - at least a few minuets. I suggest an evening stroll..
As a long time lurker on this site I have watched your project with envy, nice job!! I have a sugestion that will make you more productive and safer. Rent a man lift for a weekend, or even a week. They make ones that pull beyond a pick up now that work great. I did it for some 2nd floor soffet work that was over top of a first floor porch several years ago, It would of been a nightmare with ladders & pics. I agree it wasn't cheep but after the job was done I never would have been able to do it in one weekend without the man lift, and the best part was there was it was easier on the body & no pucker factor. It was worth every penny of the rental. I was 10 times more productive. You are absolutely correct, and it would be an ideal situation, but there are a number of reasons that would preclude it's use....ie; the grade around the structure is extremely irregular and sloped, the ground is usually wet and often muddy, we really only work on the weekends so rental time would still be significant, blah blah. Regardless, thank you much for stepping forward and offering some great insight. Jeesh, more heat. Low 90's the whole weekend. Multiply that by all the skin protection we wear (hats, long sleeve shirts, long pants)...Oy! 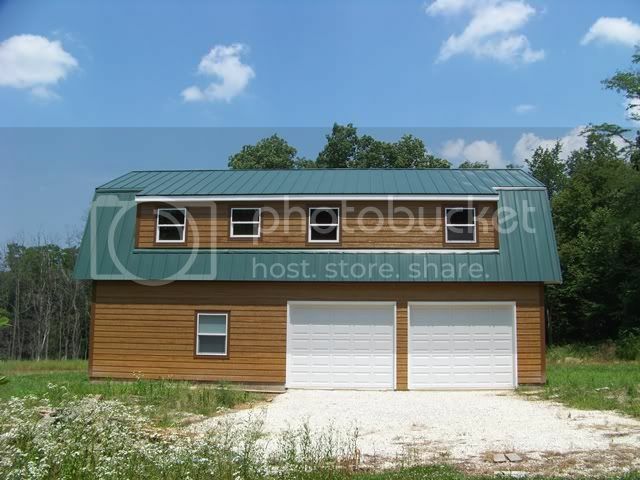 We continue to attack the highest level of UV exposure, so the "garage door side" shed dormer is next on the list. Our goal was to complete and finish the wide face of the dormer and leave the detail work at the small triangular walls on the ends. Having the soffits set and the frieze board beneath them was a big step recently accomplished, so the only thing left is completing the "picture frame" by adding the corner trim pieces. 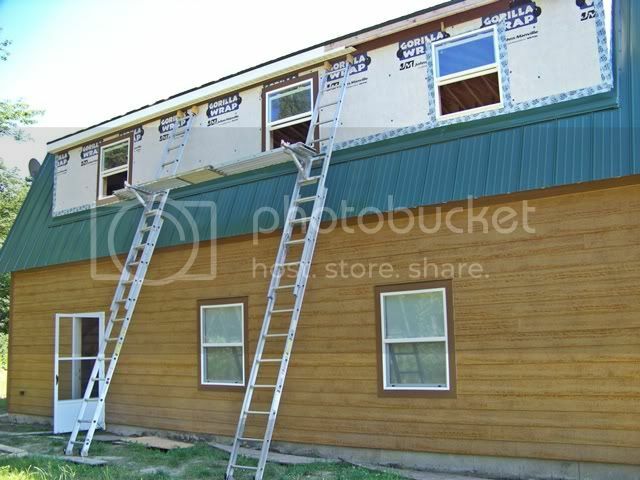 Then, all we need to do is fill in with the siding...yeah right...all we need to do. 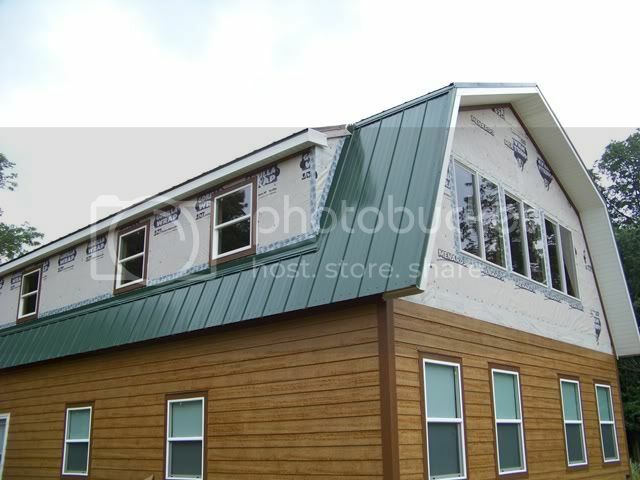 One smart decision we made before we started this siding journey was purchasing pre-fabricated/pre-finished corner pieces from the siding supplier. They are 6" x 6" x 16'...and not cheap. So....it's important to get the first cuts right. I spent way too much time calculating the angles and dimensions, but they came out pretty darned good. Dski laid on 3 coats of touch up paint to seal the newly cut edges. We used a shorter story board to lay out the tops of each course of siding. This is done between each window along the entire length of the dormer. To provide further evidence of the details that slow us down, each window has a piece of aluminum flashing secured over the trim frame. Before we leave, I find a view to provide the illusion of completion. But back up and turn the corner for the realization of how much further we have to go. That looks great! Progress made. Yard is moving along too. Man Brettski, I probably said this before but you couldn't afford to hire that building done given the attention to quality and detail that you put into it. It's gonna be great! Gotta get back to fishin! A quick review reminds me that 1 year ago, to the day, we just finished pouring the 2nd and final slab for the concrete foundation and flatwork. It's been a long year since that time, yet it feels like it passed by in 6 months. When it's 93 degrees out in the baking sun, we will take a water (or gatorade) break every hour or so and set inside the lower garage portion. I let my mind go numb for a couple of minutes to re-kindle the mental and physical fortitude to go back out and do battle. 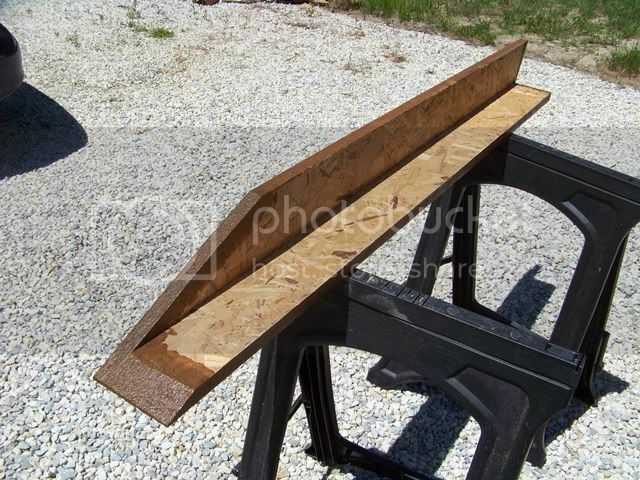 During this time, I catch myself looking around at every stick of lumber, OSB sheeting, 28' long I joists and lam beams. I usually stammer out somethin' like "sum beach". 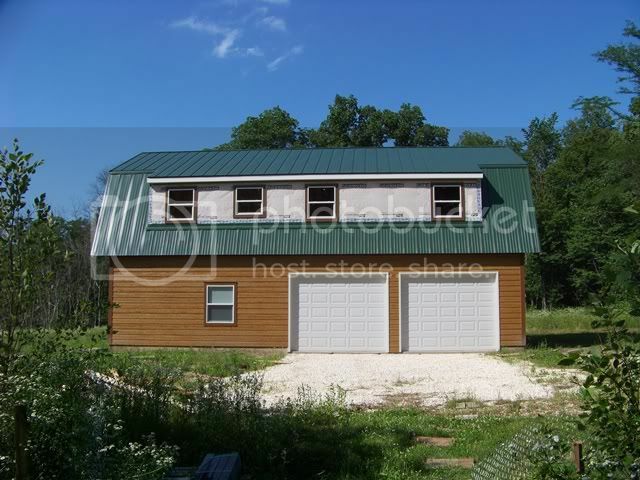 The 2nd shed dormer is done. Well, except for the small end walls. It turned out good and knocks out the next segment of exposed, house-wrapped wall that needed protection. Next target is the gable wall at the electric utility entrance. Just noticed that with both ends unfinished it looks like Its wearing a tin-foil hat . That's awesome dude. Wow! What a project! I know what you mean by the heat. When my dad and I were trenching for eletrcity and building the shed last month we had to break a bunch. It's so humid here in Arkansas it's unreal. You can go outside and break a sweat just like that. Great work bud!! That's awesome dude. Wow! What a project! Yes, looking real good, BSki! It will be nice once you get that outside all buttoned up and can get started on the inside without worrying about the weather. Agreed, bbjr. This siding thing is really starting to get old, but I have no choice. 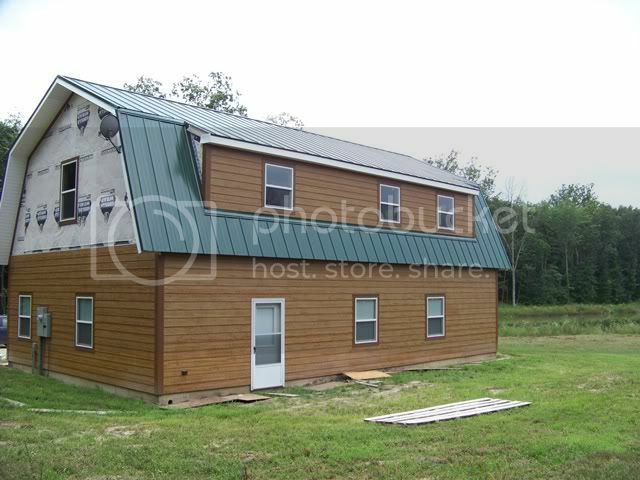 IIRC, you laid in a huge amount of lap siding on the house you built. Did it move along quickly, or slow and tedious? Admittingly, I subbed that part of the project out. 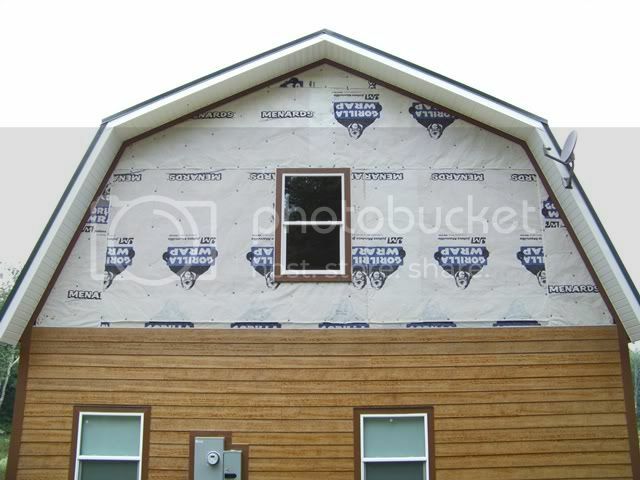 We have a good siding guy that works on our houses, and he pays extreme attention to weatherproofing and details. 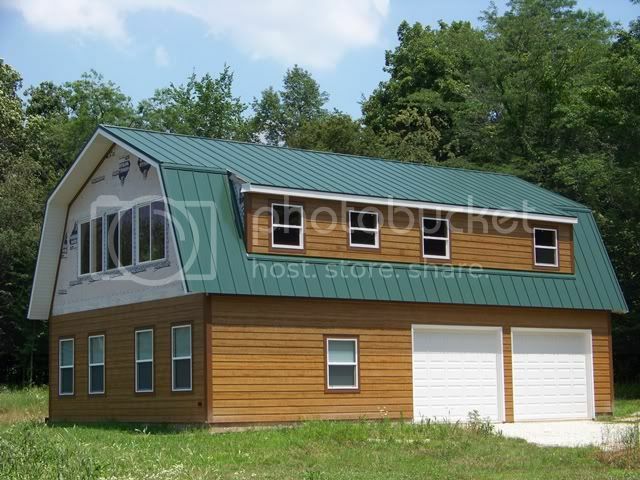 Siding houses is one of my least favorite activities in the home building process, so I was not hesitant to have him do it. For him, though, it was a slow and tedious process. 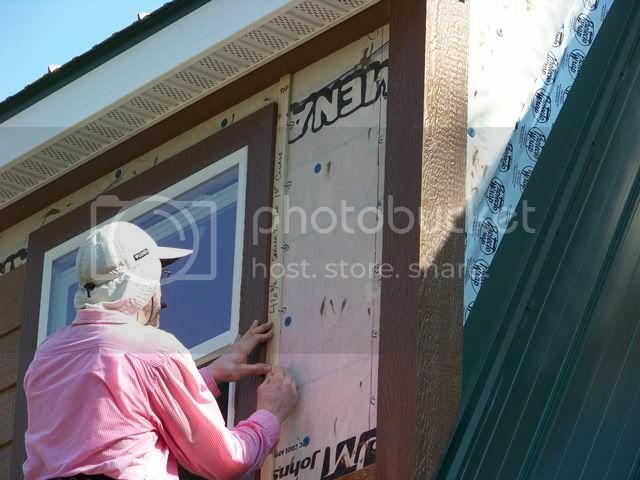 He worked by himself (his 10 year old was with him to help when he could), but it took him over 8 weeks (6 days a week/10 hours a day) to finish the siding. EDIT: Come to think of it, he lives in Illinois, over by Manteno. I'm not sure how close you are to that area, but if you don't feel like doing the gables, I can get you in touch with him.